Rocket to Return to Service? One of Blackpool’s most famous trams, the Rocket which got withdrawn in 2002 now has renewed hopes that it may return to service. The tram is now owned by the LTT who are investigating with Blackpool Transport how the tram could be returned to service, although nothing has been confirmed at this early stage it may once again become possible to see the Rocket out on the promenade. 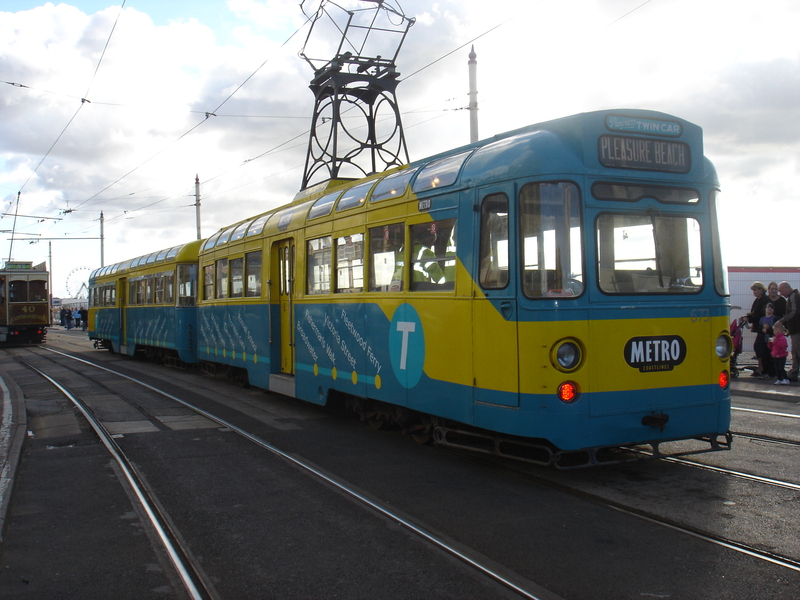 Due to changes in health and safety regulations since its last use, it is known the tram will be unable to return to service through an overhaul that keeps it in the current form as the rear offloading is considered a hazard and will require alterations. This could easily be done by manufacturing a rear platform to allow passengers to alight at the platform side, only time will tell whether any of these plans come to fruition. The now regular occurence of Scotts Heavy Haulage taking trams to their new home started this week with 673+683 where it headed to Fleetwood for storage. The ever growing yard of Friends of Fleetwood Trams was joined by trailer 683 while motor car 673 is now alongside Centenary 641 at Kirkham Prison. It should be noted 673+683 is not actually owned by the Friends of Fleetwood Trams, but instead by an independant owner. 673+683 is seen at North Pier on the 25th of September 2010 while operating specials. The tram last operated in service during November 2010. 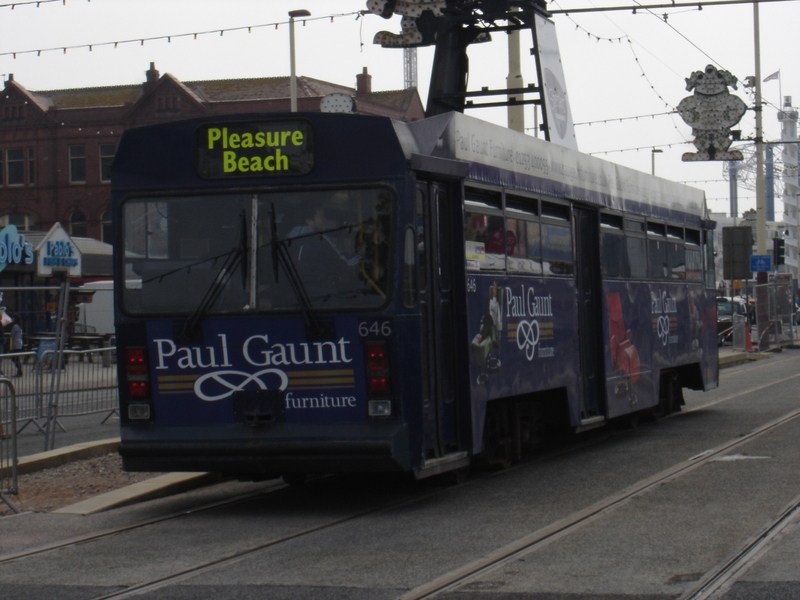 Blackpool’s Centenary fleet now only consists of three trams within Rigby Road depot after the most recent departures with the removal of 646 to Paul Gaunt, the current advertisers of the tram. 646 is another of the Friends of Fleetwood trams and has departed for Paul Gaunt Furniture for temporary storage pending its future at the Fleetwood Copse Road Tramway Museum. A day later on the 19th of January, 645 left Rigby Road depot for the Windy Harbour Caravan Park who are the same owners as Broadwater Caravan Park where 643 is now based and as per 643, it will be a gift shop and cafe. 643 ended service during the last day of the traditional Blackpool Tramway, 6th of November 2011. It is seen at South Pier on the 23rd of April 2011. 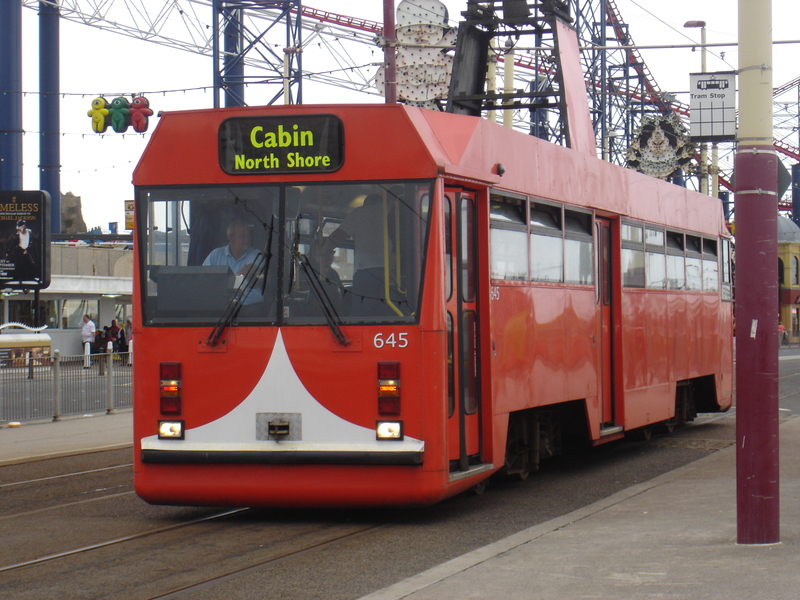 645 was also out in service on the final day, though failed and was towed back to depot by 939, ending its career in Blackpool. It is seen at Pleasure Beach on the 10th of July 2010.